Kenneth “Ken” Robert Blair, age 81, passed away May 23, 2017 surrounded by his family in Olathe, KS. Visitation will be held on Friday, May 26 from 1:00-2:00pm at Penwell-Gabel Funeral Home, 14275 S Blackbob, Olathe, KS with graveside services to follow at 2:30pm at the Olathe Memorial Cemetery. In lieu of flowers, memorials are suggested to Hospice of Olathe Medical Center. Ken was born on November 20, 1935 in McAlester, OK to Charles and Ruby Blair. He graduated from McAlester High School in 1954 and went on to receive his Bachelor’s degree from Southeastern State College and his Master’s degree in Education from New Mexico Highlands University. 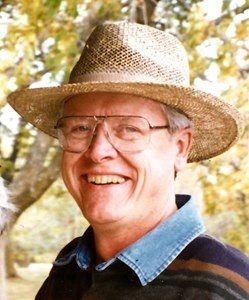 Ken began his teaching career at Olathe High School in 1963 as a science teacher, and became Assistant Principal in 1974. He also served the Olathe School District as Director of Activities, retiring in 1995 as Assistant Director of Personnel. Ken is survived by his loving wife of 60 years, Lynda “Kay” Blair, his children Kevin (Janice) Blair and Kelly (Jim) Lawrencig, grandsons Kyle Blair and Benjamin Lawrencig, great-grandson Andrew Blair, his brothers Bill Blair and James (Suzie) Blair, his sisters Mary (Joe) Kegley and Rita (Richard) Parady, and sister-in-law Sue (Mac) Lightner. He was preceded in death by his parents and his brother Thomas Blair.